Brand spankin new Fleet Foxes - what really could be better for a Monday eh? Not much - this song shines and makes you giddy for the May 3rd release of the sophmore disc 'Helplessness Blues' via Sup Pop Records. This is an album alot of the indie music world have been waiting for and have already been saying that it will be something special. 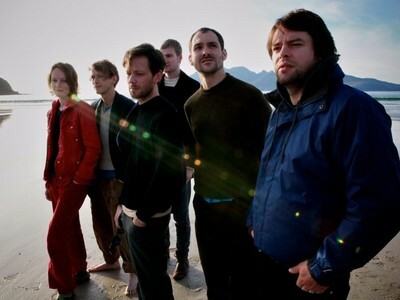 From the sounds of the Helplessness Blues track I have a feeling Fleet Foxes just might rule the indie music scene in 2011. Quality Music at its best. Thank You Fleet Foxes!!!!!!!!!!! 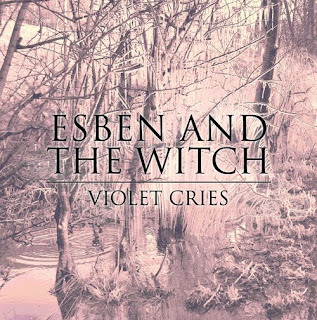 Esben and the Witch debut album 'Violet Cries' is released in the USA February 8th, 2011 via Matador Records. When listening too Esben and the Witch you get the feeling of something evil but at the same time you get the feeling of something good. Almost like : Good + Evil = Great. 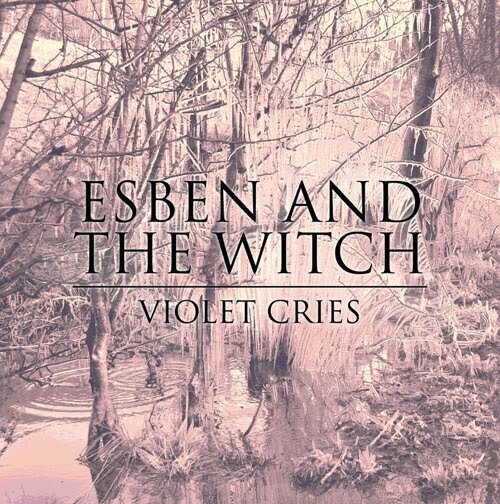 "Disregard what you’ve heard, then, about Brighton trio Esben And The Witch being the UK’s newest vault creatures – because, crucially, they’re gothic rather than goth, and possessed of a much more beguiling aesthetic. To immerse yourself in ‘Violet Cries’ is more akin to entering a Ye Olde English fairy tale than some trashy vampire fiction, like discovering a weighty, weathered tome that lies under several thick inches of dust and recounts a distant age. On opening track ‘Argyria’, for example (about the condition that causes the skin to take on a bluish hue after exposure to silver) singer Rachel Davies mutates into an eerie group of disembodied spirits and “metallic voices, gleaming white and breeding light”, while on ‘Light Streams’ she vows to “hunt the one that burnt out the beacon” in a voice that wavers from stern to histrionic." Here is a track from Girls off of Broken Dreams Club EP. Girls hail from San Francisco and have been getting high praise from the likes of pitchfork and such. One of the big risers in the music scene over the past couple of years. You have to feel it is Mumford and Sons unique and more original sound that makes them stand out and is getting people excited about them. Little Lion Man comes from 'Sigh No More' which has received an unlimited amount of praise from the music world. The kind of music that when listened too could really change you. If you haven't had a chance to listen and check oiut Mumford and Sons there is no better time. Also Prettymuchamazing has Winter Winds as a free download as well. Once again this is just quality music and Mumford and Sons are truly one of those special bands that only come around once every 10 or so years. Enjoy all the free downloads and do yourself a favour go out and purchase Sigh No More and better yet go purchase 2 copies and share one with a friend and spread the word about the great music. The last song you would think Jonsi would cover but it is great haha. Not sure how I missed the boat on these guys. Fantastic song I am loving it. The band formed in 2008, naming themselves after the suburb Crookes in Sheffield where the guitarists Alex Saunders and Daniel Hopewell met before later recruiting George Waite on vocals and Russell Bates on drums. NME Magazine has championed the band, describing how “a band this good are unlikely to remain obscure for long. 'Backseat Lovers' comes from Dreams of Another Day album. "They are kings of romance (an important part of the New Pop brewing around the UK)... There is something almost subversive about their odd mix of influences (The Smiths/’60s girl groups/’50s rock and roll)... It’s the romance of the Seine, of walking in the Peaks; or lying on your back reading and daydreaming." Foster The People’s debut EP titled Pumped Up Kicks was just released this week. Great chance to check these guys out now. 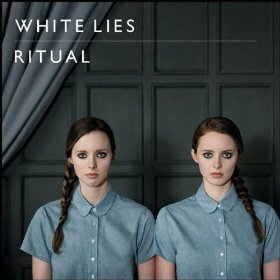 Here is White Lies song 'Is Love'. The free version is a stereogum remix and the youtube is from the album Ritual. I actually like the remix version much better. What if there is nothing after this? Here is yet another Cloud Nothings tune and as you can see I am somewhat of a fan of this group. This is not featured on the self titled debut album that was just released but still a great tune. Fun fun song if you turn it up loud. Hear is what the lead singer Dylan Baldi has to say about the process of writing 'Understand At All'. "I was struggling a lot while I was in the writing process for the self-titled record, but then I played the chords that open this song. Right away I was launched into a more creative mindset, and everything came together from there. I'm particularly proud of this song because I think it sums up all my influences pretty nicely, but comes off sounding only like a Cloud Nothings song." It is official The Strokes have now announced their new album 'Angles' which is set to release March 22nd, 2011. 'Under Cover of Darkness' is set to be the lead single off of the album. If you are like me you can't can't wait for March 22nd to roll around. 13 Streets songs for free can't beat this. Mike Skinner delivers a nice free mixtape here and a few standout tracks that have some videos attached at the bottom of the post. As promised, Mike Skinner aka The Streets has delivered an album-length mixtape, Cyberspace and Reds, before the arrival of his supposed last album, Computers and Blues which will be released in February. Here is the Video to 'Something to Hide' more of a poem then a song but quite interesting. I was sifting through Amazon's Free Music Downloads today and pretty much pulled 3 decent songs off of there to post here on FPT. Klaxons 'Echoes' is a powerful tune off of Surfing the Void album which was released in the US back on September 21, 2010. Amazon has Deerhoof's 'Super Duper Rescue Heads!' up as a free download now. This is taken from the upcoming release of Deerhoof vs Evil via Polyvinyl Records. Super Duper Rescue Heads! is a little more listener friendly compared to past releases of Deerhoof. Here is the video for Second Chance. Well not really a video but more like a place to hear the tune. This is a fun song - nice and short and to the point as well, cool video to go with it as well. Gimme Some is Peter Bjorn and John's sixth album. Both Second Chance and Breaker, Breaker are free downloads off of the record. Glasvegas, The Black Keys, Foster The People, Cold War Kids, Ryan Adams, Peter, Bjorn & John, and a few others. The object of this site is to post 10 Free Music Downloads daily and usually they are pretty decent tunes so you may want to bookmark this site for future reference. James Vincent McMorrow releases his debut album 'Early In The Morning' via Vagrant Records, January 25th, 2011. I have to be honest after listening to the complete album for the third time the other day I was like Wow this guy has a voice and a song writing talent that will sell him some records. To start off Early in the Morning with 'If I Had a Boat' you get the sense of what a talented song writer McMorrow is and it keeps you wanting more and more. Some other highlights on the album for me were 'Sparrow And The Wolf' and 'We Don't Eat' but the song that really captured my attention from the album was 'From The Woods!!'. The ending of that song was about the strongest ending to a song that I can remember. I am sure the comparisons to some other artists are out there but I just can't drop any names to compare James Vincent McMorrow to, as I think his song writing talent and voice are truely unique. With this release JVM will surely have a very good 2011. OK both the free download and then the youtube video are pretty much opposite in comparison but I think they are both awesome. Love the Electric guitar in the download version but at the same time love the nice friendly happy version in the video. Akron/Family S/T II: The Cosmic Birth and Journey of Shinju TNT comes out February 8th from Dead Oceans. I am a big fan of Fang Island and loved the single 'Daisy' but now listening to 'Life Coach' it is tough to decide which song is better. Some good music here. I am a little late to the Foster the People club but finally checked them out and grabbed a copy of their Foster The People EP which includes 'Pumped Up Kicks' along with 'Houdini' and 'Helena Beat'. All three are pretty fun songs and I am quite happy to own me a copy of the EP. Here is the latest Of Montreal 'Coquet Coquette' from the False Priest album. A little Canadian flavour for the day. New age Blondie --- Something like that perhaps. I pretty much adore this song. I think it is strong from start to finish and usually makes me want to listen a 2nd time. If you are a big Chuck fan this song comes from season 3 episode 4 just in case you were wondering. Also can get Freelance Whales - Day Off song on there for free as well. Not bad sound from these guys. Well worth a listen. The Go! Team – T.O.R.N.A.D.O. from the new album Rolling Blackouts which is out now. Another cover song from VW. This is Ezra Koening’s second favourite song, by U.K. songstress Cheryl Cole. Not sure if this song is called 'Christmas Treat' or 'I Wish It Was Christmas Today' Anyways I found it at emusic so if you have an account there you can grab it for 49 cents. I know we just had Christmas and all but finding this song is like having Christmas all over again one month later. Awesome song though makes me very excited for the new Strokes - Angels due out March 22nd. 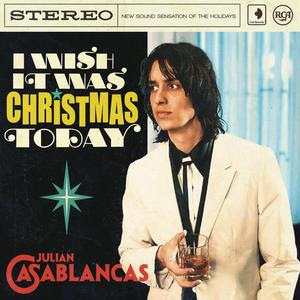 Here is the artwork for I Wish It Was Christmas Today. I like to try to get 3 songs in everyday and today this would be number 3. I really like Harlem's track 'Friendly Ghost', I haven't checked out the rest of the album but stumbled across this and thought it was great. Well that's all for today, tomorrow will bring some more free tunes. Wavves track 'Mutant' replaced "Mickey Mouse" on the Australian pressing of "King of The Beach". Pick up Cut Copy's 'Where I'm Going' Free download from their site. Pretty catchy song and worth your email address and a minute of your time to snag it. But you can be the judge of that. As for this tune I would give it a 6/10 myself. I can't wait for the new Strokes record to come out. But for now I take what I can get and 'Out of the Blue' is a pretty darn good Rockin' tune. Vampire Weekend cover Rancid 'Ruby Soho'. Not the best cover but not bad either. Here is the track listing for 'EUPHORIC /// HEARTBREAK \\\' which is set to release April 4th. Nice free song from Braids "Lemonade". Another band to watch out for in 2011. The Vaccines are one band I cannot wait for music in 2011. This song has a hint of Johnny Cash to it one I listened first off. The London bands first album 'What Did You Expect From The Vaccines?' is set to release at the end of March. Here is the track listing of the album. Here is a free download of Slow Poison (Drop The Lime Remix) and here is the original version and youtube video. Here is the new single from The Pains of Being Pure at Heart. Great sound and look out for their sophomore album, 'Belong', due in late March. My love affair with Ryan Gosling continues..............well really I just love his band great great sound. I had to listen to this song 5 times in a row today. Dead Man's Bones is a band with actor Ryan Gosling and his friend Zach Shields. Their first album, Dead Man's Bones was released on October 6, 2009. The entire album is a collaboration with the Silverlake Conservatory Children’s Choir started by Flea. Gosling performs under the alias "Baby Goose"
Here is a tune from Tapes N' Tapes new album 'Outside' called Freak Out. This song is comparible to stuff I used to here on their debut album The Loon. Good song and thanks to prettymuchamazing for the Free download link. Degeneration Street, the fifth album from The Dears, delivers the passion and soul that has earned the band the adoration of fans and critics worldwide. From the electrifying nihilist pop anthem “Thrones,” to the star-scraping heights of “Galactic Tides;” from the grimy opener “Omega Dog,” to the Motown sci-fi of “Lamentation,” Degeneration Street is, definitively, The Dears. I am sure you will be wanting one of these Mexican drinks once you listen to the song. Anyways, this is the the new highly anticipated follow-up to Vampire Weekend's debut. Horchata is a catchy song and by far my favourite on Vampire Weekends second album 'Contra'. Contra was a bit of a downer for me compared to VW's self-titled debut but this is still worth a free download. Here is a link to a free tune from Beach House. The Teen Dream album was one of my favourites in 2010. Norway is a great song off of the album and thought I would share the free download. Cleveland's Cloud Nothings is a buzzing 19-year-old Dylan Baldi. He really knows how to write a good pop song. Cloud Nothings ample use of distortion, you'll find some remarkably catchy melodies that form the core of these exceptionally fun songs. Cloud Nothings is really just fuzzed up power-pop with swagger. OK the only reason I am posting a song from The Naked and Famous for the third straight day is because I found it as a free download. If you 'like' these guys on Facebook they will give you a free download of Crazy Yes Dumb No. All These Trees” is Passion Pit’s first new (non remix) song since their debut LP, Manners, was released last year. Manners was a top notch album and it will be tough to compete against that but this song isn't too bad. Here is another band and song to check out. I like the sound alot and will be checking out more stuff from these guys. Summer Camp are a London duo Jeremy Warmsley and Elizabeth Sankey. Their first single, Ghost Train, was released in April 2010. Decent song from another new band to look out for in 2011. Back to back days with songs from these guys. They are just catchy what more can I say. I promise I will be back with a different group tomorrow. Another thanks to Pretty Much Amazing for this free download. Most could say this is simalar to MGMT or Passion Pit and some say somewhat of a rip off of MGMT but nah I don't think so. Just a fun song nothing stolen here. Their single "Young Blood" debuted on the New Zealand chart at number one in 2010 being the first New Zealand artist in three years to do so. Thom Powers and Alisa Xayalith are the driving force behind the five member band. Here is another nice and pretty tune. "Aside from a great band name, Denver’s Tennis have one of the best, most legendary origin stories I’ve ever heard – a husband and wife team who decided to write music together after spending six months on a duo boat voyage and finding any other way of communicating their experience ineffective, Tennis make that kind of music that’s trendy because it’s so timeless. Singer and keyboardist Alaina Moore’s voice has that endlessly sweet, girl group quality, especially apparent on songs like “Marathon,” rightfully the band’s biggest blog hit, where it’s put front and center over clap ‘n snap percussion; her husband Patrick Riley’s simple, sunny guitar work is in that echoey, reverb-y style that recalls Grizzly Bear or the Walkmen." "Hannah Hooper met Christian Zucconi late one evening on the lower east side of Manhattan. They had both been living in New York for years and had never crossed paths before. But from that night forward the two could hardly be pulled apart. Soon after their connection Hooper was invited to an art residency in Greece on the island of Crete and Hooper insists “without any hesitation” she invited Zucconi to join her on this journey. “Seriously, we had only known one another for a few days but are both so inspired and alive when we are together that going to Greece seemed like a magical and natural thing to do” recalls Zucconi. On Crete, in a small remote mountain village, Hooper and Zucconi met the members of their future band “GROUPLOVE” a year before it was officially formed. Sean Gadd, a natural songwriter and guitar player, born and bred in London instantly bonded with the two eccentric New Yorkers. Their relationship became apparent through the music they were making day in and day out. Andrew Wessen, a pro surfer and musician from Los Angeles and his childhood friend Ryan Rabin, an accomplished drummer and producer, were also at the residency and quickly joined in with the musical trio. These five musicians make up the members of what we now know as GROUPLOVE . Like all good things, the summer and the residency came to an end and the five friends scattered back to their homes all over the globe. With Sean in London, Christian and Hannah in Brooklyn and Ryan and Andrew in Los Angeles GROUPLOVE was faced with the challenge of what to do now." Here is a great song from Fang Island's selftitled album called Daisy. This has to be up there with one of the best songs of 2010, and the video is somewhat fun as well. Here are my top 20 albums I am looking forward to in 2011. With this line up 2011 should be a great year in music, especially if Radiohead gives the world some shinny new tunes. 3 - The Streets - Computers and Blues 2/7? Obviously when more albums are announced to come out this list could change and also some of these albums could be pushed back until 2012. Please feel free to comment on the albums you are most looking forward to hearing in 2011. Sweeping storage units on a Saturday really helped me become fond of Delorean's Subiza album. Pretty artsy video to go with the song. Computers and Blues is reportedly the final album that Mike Skinner will make under the Streets moniker. On the website for the album, Skinner describes it variously as "45 minutes of 130 bpm style straight spittin'," "dancing music to drink tea to," and "influenced by the future." Leading up to its release, Skinner distributed several tracks via his Twitter account, saying "I can't be bothered with all this trying to sell you music. It wastes valuable time." Whether or not these tracks will be included on the album, they make it clear that he is trying to steer his project back toward the Original Pirate Material glory days before he calls it quits. insound is one of my favourite online music stores and they have a great selection of free downloads. I will continue to pick and choose what I want to post on FPT. Big fan of Badly Drawn Boy and this is a pretty good song off of the new album - It's What I'm Thinking. For me it is hard to compare this album to the debut album of The Hour of Bewilderbeast and then the Have You Fed The Fish albums those two are some of my favourites. But as for a straight up song Too Many Miracles is not too shabby. Good Evening is from The Concretes new album WYWH. Good song and definitly worth a free download. The Beach Fossils are a unique sound but the self titled album also can all sound fairly simalar to each song. I really like 'The Horse' song and think it is often an overlooked tune on the album. Just have to click on the mixtape record button that says download on it. Good song and a nice little free download from Noah and the Whale. Big fan of Mike Skinner and can't wait for the new Streets album to come out. This tune is a few years old now but it is great every listen.